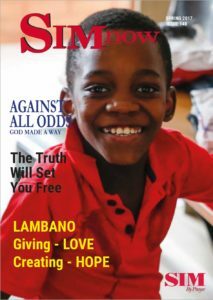 Twice a year, SIM South Africa publishes a print magazine, SIMNow. Our spring issue recently posted, and the electronic copy is now available for viewing or downloading at https://sim.org.za/wp-index.php/sim-now/. We hope you will enjoy its stories of what God is doing through the people and ministries of SIM South Africa.